Samsung Galaxy S III – The phone designed for humans are cracked by human (Chainfire) brings the CWM recovery on Galaxy S3. 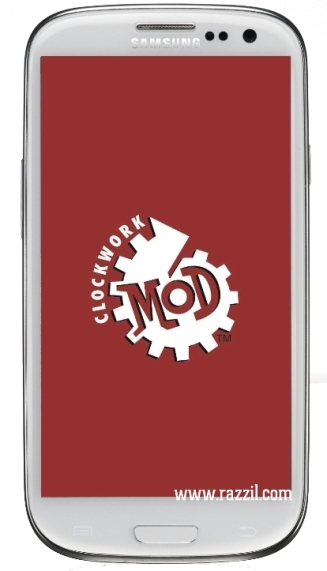 This tutorial will install the ClockworkMod (CWM recovery on your phone. It’s early build of CWM and it may contains bugs. Follow this simple tutorial to Install ClockworkMod (CWM) Recovery on Samsung Galaxy S III i9300. The ClockworkMod recovery mode is different from the Normal recovery Mode .It provides very different options that normal recovery doesn’t have. You can perform several advance task such as recovery, restoration, installation etc. You can also able to install custom ROMs and many more with your S3. Install KIES on your computer, it insures that you’ve proper drivers. Now Click on PDA button and select the tar file (it should be like CF-SGS3-CWM-vX.X-vY.Y.tar) in the extracted package of CWM Recovery. Click on Start button to trigger the ClockworkMod installation. Now download the Superuser application from Play Store. Congratulation, You’ve successfully installed the CWM Recovery on Galaxy S3. Now you may go through this thread and thanks the developer or you can also shoot the question regarding this recovery.